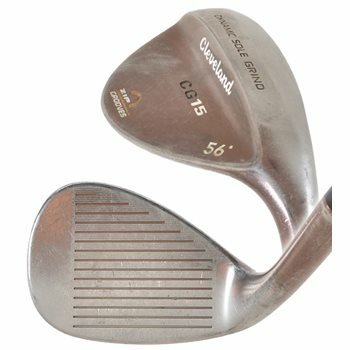 The Cleveland CG15 wedges feature a Laser Milled face that produces four perfectly texture lines milled between each groove which optimized ball-to-face friction and maximizes spin within the rules of the game. The Dynamic Sole Grind (DSG) provides more versatility around the greens, while its Zip grooves optimize the groove dimensions to USGA limits, which channels away the most debris possible to improve contact and maximize spin. The Oil Quench finish reduces glare and frames the ball nicely at address.